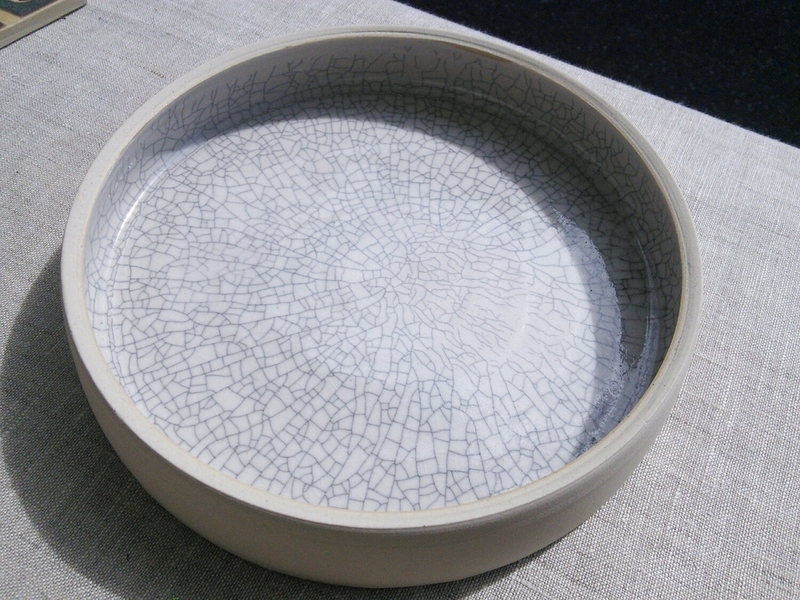 This week sees the launch of my newest glaze, a white crackle. I love glazes with some variations or patina effects so a crackle glaze was a natural choice. Sometimes it takes months of testing to find a recipe that matches my intended colour and surface texture. This time i got the winning combination in the second batch. Unusually the crackles dont develop for a couple of days after coming out of the kiln so i missed them the first time round- luckily i checked the test tiles again a few weeks later! The first few pieces made an appearance at the market on Saturday - and sold out in the first couple of hours. I guess you guys like crackles too!